Cheap suits are available in abundance these days as people are willing to buy them but the problem is that many dealers and retailers have indulged in selling the ones that are of very low quality for high price. They can be purchased from any kind of sale or offer but as mentioned earlier quality is one thing that can be rarely seen. 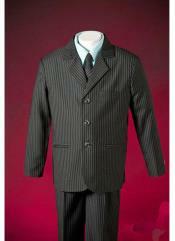 There are some dealers who sell good quality suit for a reasonable price and MensItaly is one among them. Cheap suits do not mean that they are of low quality but they are of some decent quality and they are a smart choice as one can save a lot of money in clothing. MensItaly has skilled tailors and top class professional designers who stitch suits for a reasonable price and they have tie up with MensItaly and do a lot of wholesale business. That is why suits from MensItaly is of low price but the high quality remains unchanged. MensItaly aims at middle and upper-class men and thus it will suit the budget of all men. If the suit size does not fit it can be either returned back with money back offer or it can be exchanged.